1,000s of successful customers. 1,000s of years of identity experience. We’ve got this. We offer a prescriptive methodology for successful deployments. Our standardized processes, methods, and tools deliver reliable, measurable, and predictable results, to reduce risk and increase speed to market. Identity management can be a complex matter, when you’re talking about a large global organization. How much support do you need with implementation? Our team stands at the heart of a fanatical approach to customer success. We can help you engage stakeholders and simplify IAM. We’ve built a reputation for accelerated deployments. Our customers see rapid, valuable returns on their investments at every level of the organization. Our strong partner ecosystem can compliment or serve as alternative to Okta Professional Services in some use cases or areas. Okta augments partner expertise through Expert Services. We do this every day, so we have some pretty good ideas about how to approach each project. Our standardized processes, methods, and tools deliver reliable, measurable, and predictable results, to reduce risk and increase speed to market. We complete project initiation, readiness, and discovery processes with you, to verify your business and technical requirements. These will form the basis of your Okta solution’s goals, use cases, plan, and risks. At the end of this phase, you should have a clear, prescriptive path toward delivery. We partner with you in a workshop setting to further plan, design, and quickly start configuring your Okta solution. The Okta delivery team works with your internal team to provide configuration, development, and project management expertise for deploying your Okta Solution. Our team works with your team during testing cycles to ensure readiness and quality before you deploy your Okta solution. Through user acceptance testing, we verify that your Okta Solution is ready for final production. When you’re ready to deploy Okta, we are right there with you, making sure you and your users understand how to use the technology. We conduct a Customer Success Assessment after go-live, and assist you through cutover planning, go-live launch, and post-production. In the final phase, we officially close your project and report its overall level of success to your sponsor through a formal project summary report. There, we validate the realized business value, measured against your original business case. We have been able to deploy more than 120,000 users across 60 countries in less than six months. Our partnership with Okta was essential to get that done. We understand that every project is a little different. Whatever the scope of your deployment, we take the time to understand your objectives, and prescribe and design an approach that meets your requirements. Then, we work with you to make it happen. For complex enterprise deployments, we offer a full menu of services, customized to your project. Over time, we’ve discovered that many implementations fit into a few standard deployment packages to meet our customers needs. One of them may fit your project objectives. 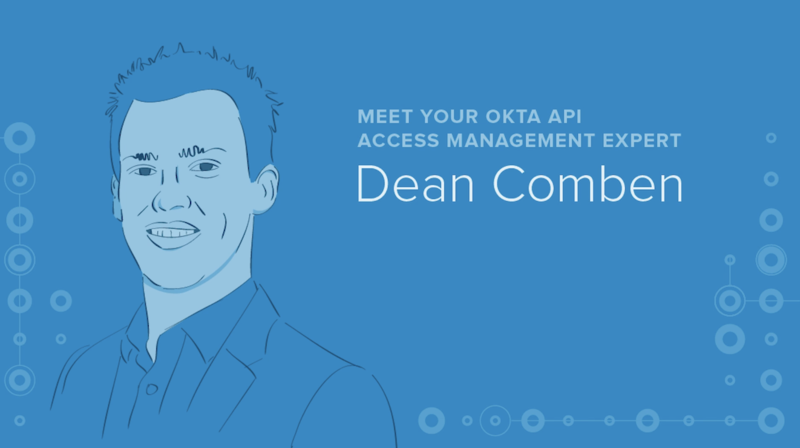 Meet your Okta Identity Experts here. You can meet Dean Comben, your API Access Management expert in his podcast with Clarence Cheah here. Contact us if you are interested in learning more and talking with someone on the Professional Services team.